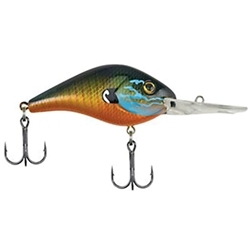 The Berkley Dredger has a tight subtle action best for deep water fish. The body shape and weighted bill drive this bait deep to stay in the strike zone longer. Available in four sizes with diving depths ranging from 12 - 26 feet!! !